Nucleic acids (DNAs and RNAs) are biopolymers, called polynucleotides as polymers of nucleotides. They have purine or pyrimidine bases and sugar rings connected by phosphodiester linkages. 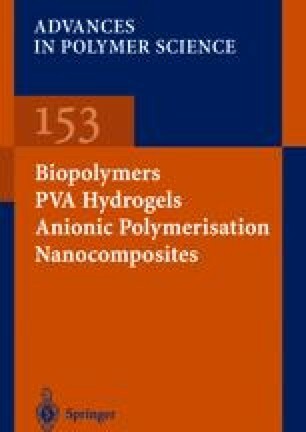 Polynucleotide analogues (PNAs) with modified polymer backbones and/or modified nucleic acid bases have been studied as model polymers for natural nucleic acids. In spite of their structural simplicity, PNAs have shown the property of base-stacking along the synthetic polymer backbones and even interacted with natural nucleic acids through base-pairing. Since biological activities of natural nucleic acids are indebted greatly to base-base interactions, PNAs are expected to have certain types of biological activities. In this article the preparation methods, properties, and potential applications of PNAs are discussed.